This post contains affiliate links. See here for a full disclosure. Grapevine Studies once seemed over-simplistic to me. After all, look at the huge world catalog of Bible scenes. Master artists have taken stories from the Bible and gloriously converted those into detailed pictures that have been used to recall these stories for hundreds, even thousands, of years. 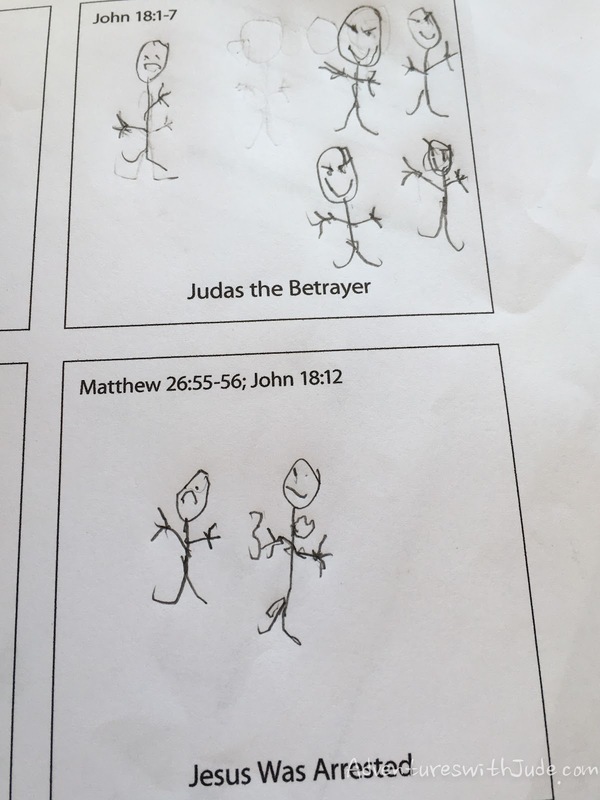 How on earth were a few stick figures going to bring the Bible stories to life? 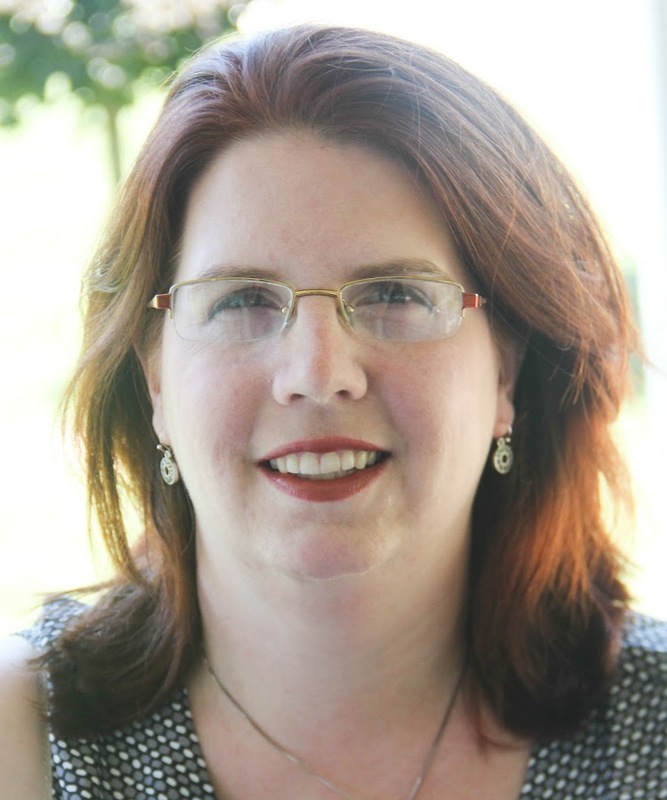 It's simple -- by creating the student's own personal association with a story. After our first experience with Grapevine last fall, I was hooked. 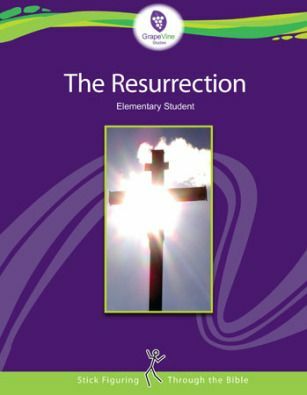 This spring, we are excited to use the eBook Multilevel unit study on The Resurrection, and are stick-figuring our way to Calvary. Grapevine Studies' philosophy can be summed up in three words: Hear-Draw-Speak. 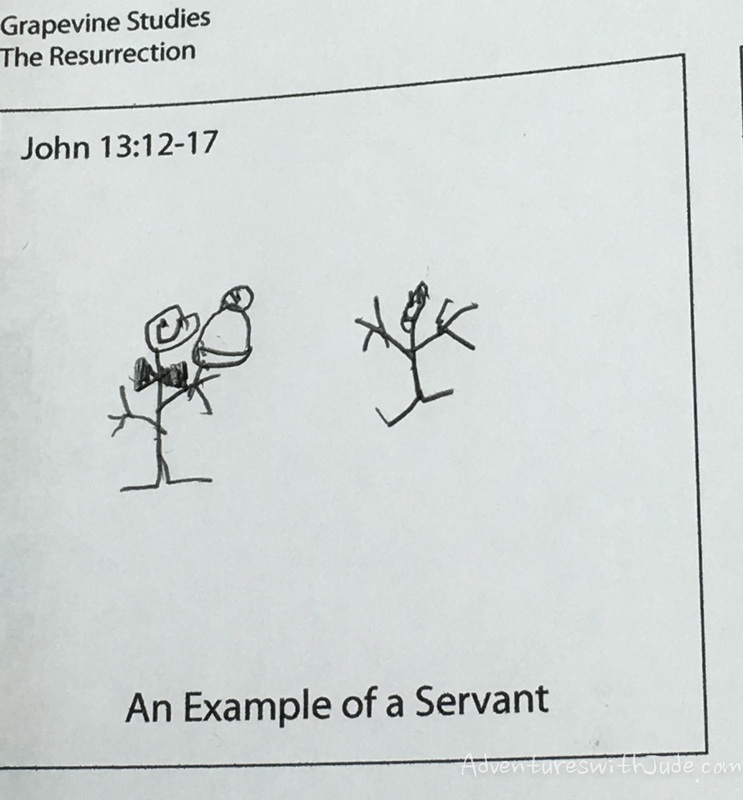 Students hear the Word of God, draw a picture of it, and speak about what they've learned. Younger students start with the simplest method - just this core philosophy - and as they get older, the program adds on a timeline, vocabulary, and more detailed review. I like this spiral approach because it means we can re-visit both this story and curriculum for many years to come. We received several family licensed eBooks: a Beginner Traceable book, a Student book with a family use license, and a Teacher eBook. Grapevine does offer single-student-use, consumable pre-printed books, which is great for if printing the books is an issue (they are about 50 pages each), but really appreciate their commitment to making Bible study accessible to a family, not just a single student. 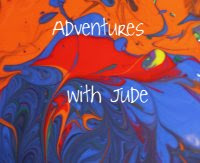 This year, Jude focused on the program, but next year, we will be able to revisit it with Jude working more in-depth and Damien at a basic level. One of my favorites from this study is how Jude remembers "Jesus is a servant." In this passage from the Last Supper, Jesus humbles himself and washes the feet of the Apostles. If I was to draw this, I would have Jesus, wearing a traditional alb-like tunic, kneeling at the Peter's feet with a basin. Jude, however, imagined a Servant Jesus a bit differently. Jude imagined Jesus in modern "butler's clothing." Go ahead and chuckle at the bow tie. He explained it to me: "A butler is a someone who does things for people, and Jesus wants us to do things for others. You know, like Batman's butler, Alfred." He's grasped the point -- and since the Lord doesn't care if we wear formal wear or every day clothes to serve each other, I'm not worrying about it either. He also had a more modern image of Judas' betrayal, and Jesus' ensuing arrest. He said he drew "angry eyebrows" to show the soldiers weren't good men. When Jesus was arrested, Jude added a sheriff's badge and handcuffs to the "arresting officer." While he learned about the Bible stories "for real," it led to an interesting discussion among the bigger folks: What would the Easter Story look like as a John Wayne western? We can almost see the Pharisees rounding up their outlaw posse and meeting Jesus in an open field, declaring "This town ain't big enough for the both of us..."
St. Paul says, "When I was a child, I used to talk as a child, think as a child, reason as a child; when I became a man, I put aside childish things..." (1 Cor. 11:13). I know all too well that soon Jude will be a man and put aside the childish things, so for now I'm savoring him thinking as a child. 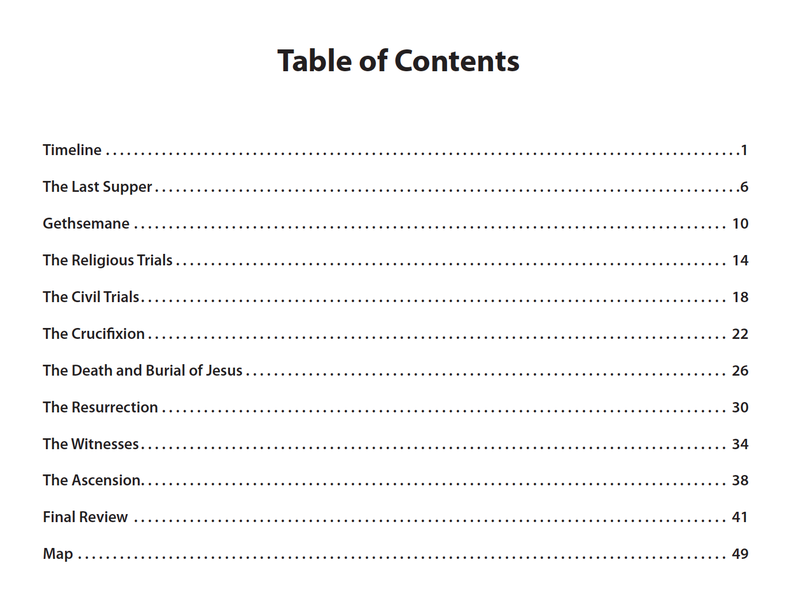 I like that Grapevine Studies is adaptable for all faith traditions. It does not focus on a single interpretation of the Bible, but instead employs a framework of chapters and verses that allows the parent/teacher to choose the translation to be used. I think this makes the program as unique as its stick-figure approach. In our experience, most Bible studies are based on the King James Version, which Catholics do not use. One thing we found we needed this time was an actual Bible, as opposed to our children's version that we used for the last Grapevine Study. Because the Gospels are synoptic, that Bible takes specific text from one Evangelist, which was (of course) often not the one chosen for the Grapevine story. For example, our Bible used a passage from Luke to recount the Betrayal (Luke 22:33-59), while Grapevine's source verses were from John (John 18:1-7). Generally, we used the USCCB's online Bible (NABRE version) as our source. There is no official "writing" associated with with the program. There are discussion questions at the end of each section, but as the "Speak" part of the program, they can be completed orally. If you are working one-on-one, or in a group setting, it may be easier to work on them this way, but since often Jude did this while I was helping his brothers with something else, he wrote the answers for me to go back and check. Jude struggles with memorizing, so instead of trying to memorize a weekly Bible verse, he copied the verse(s) that went with each day's lesson. 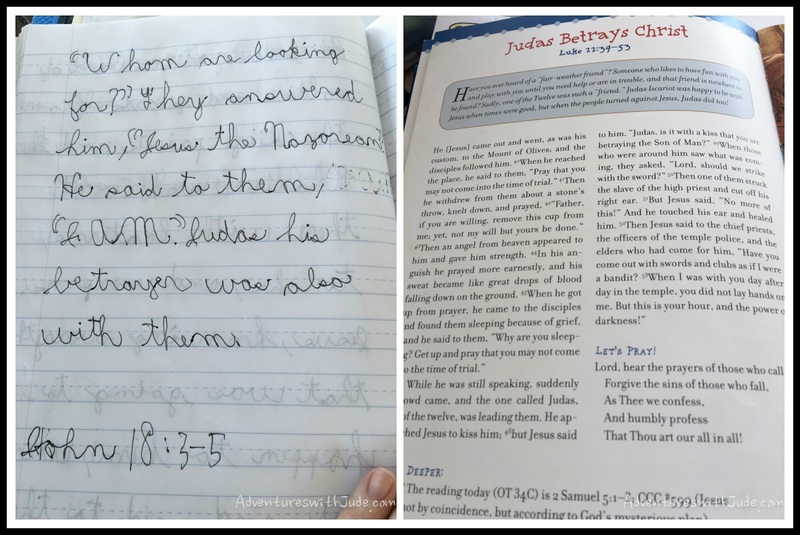 Combining the written verses into "notes" and then going back with the questions helped him work on memory skills but also being able to go back and "look up" a section of information without having to re-read an entire book. We really love Grapevine Studies. I think it's a way for students at all levels to be able to study the Bible. The "add a bit more" idea really appeals to me as a parent teacher. It's not only a way for Jude to delve more deeply into the Bible as they get older, but it also meets him where he is at. So many Bible studies encourage a more "adult" perspective, but I think Grapevine's approach allows a child's faith to grow as he does. 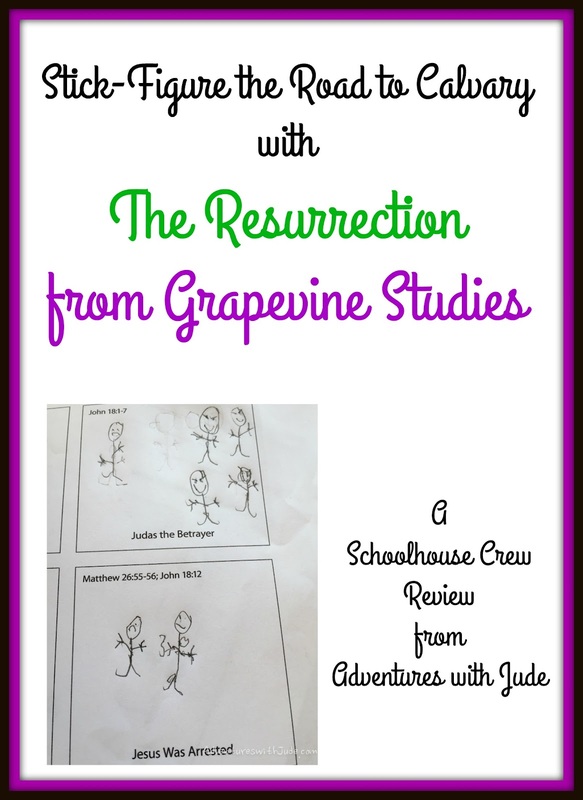 For more information on how you can "Stick Figure Through the Bible", follow Grapevine Studies on social media, or click the banner below for more reviews. 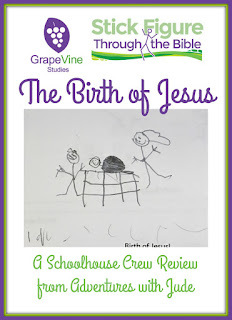 You can also read our review of their Nativity curriculum, The Birth of Jesus, by clicking the second graphic.